This pic was from my archive; I gave an oil paint effect into it. 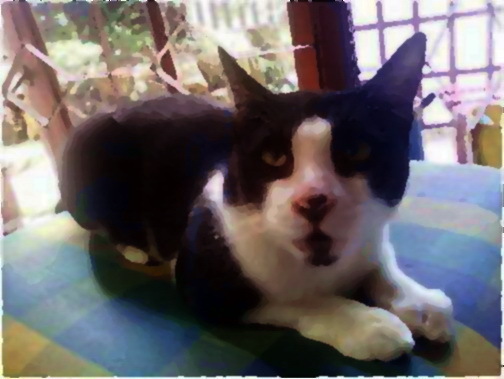 A portrait of Iput, my beloved pet. Her sudden death years ago made me doubtful to have another cat, until now. It's always difficult to lose one of our furbabies. man hat immer im Herzen ..
IPut is a beautiful. I am sorry you had to lose her. It is always sad when we have to say goodbye to our beloved pets. losing one is very hard. you never quite get over it, i think. She was a cutie. I love black and white cats. cat is a beautiful pet, funny, and sometimes their behavior and leave unforgettable memories. sorry to hear about her. she is so cute.